How many of your drink coffee or tea? Do you drink it daily? Do you have a favorite mug? However, they aren’t this featured mug of the week. This mug is new, awesome and colourful. 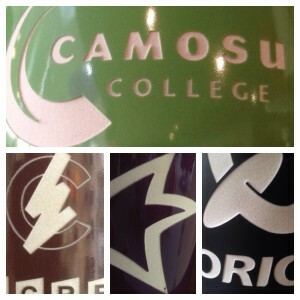 Not only do you have the option to screen print your logo onto it… you have the option to LASER ETCH it! 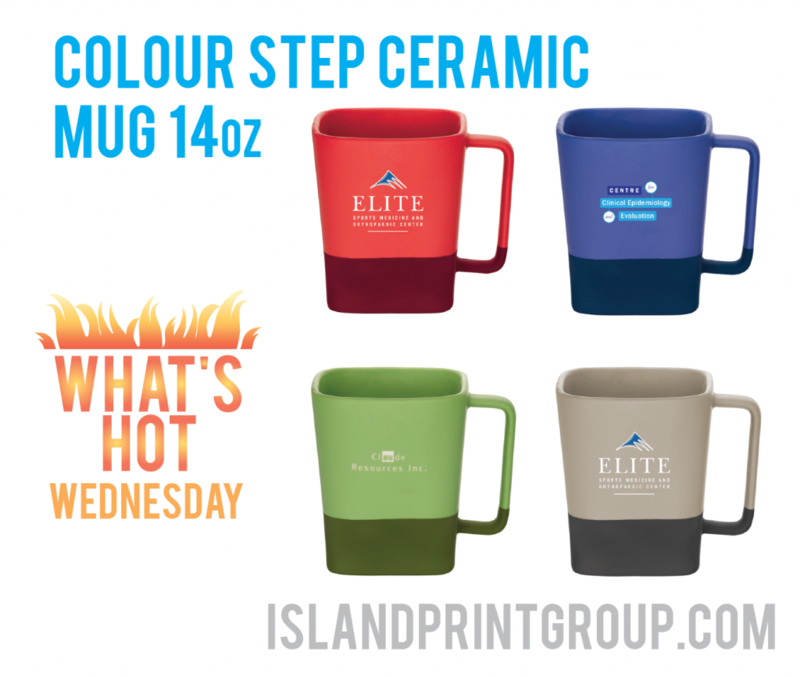 *Wipes drool off face* Sorry, I get excited by laser etched logos on ceramic mugs. Trust me, it looks SO good. Ok, I included a picture of some from our showroom so you don’t have to just take my word for it. Still don’t trust me? FINE – drop by the office and we’ll SHOW you! 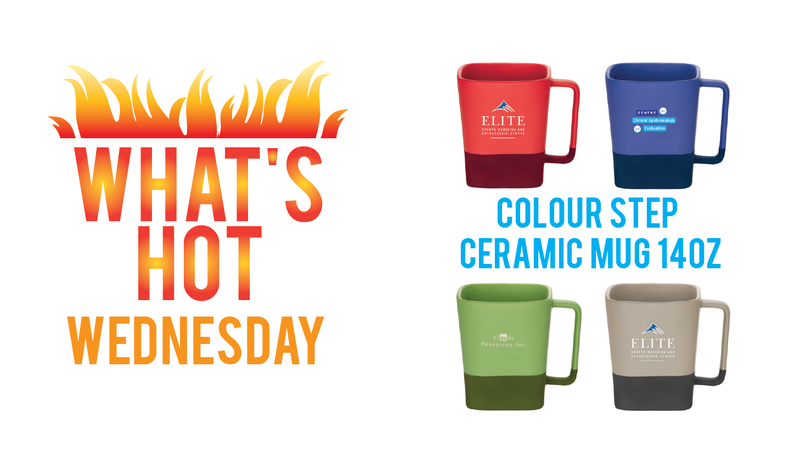 These awesome mugs also have a rubber coated matte base. Yeah, so for those of you who are clumsy like me – that means less chance of knocking your coffee over! One of the other benefits to laser is that it makes the mug dishwasher safe! The unique colour step design goes from dark to light, add in the trendy square design and do I really need to say any more about it!?! Do you drink less coffee in the spring and summer? Or do you not let the weather dictate your caffeinated beverage intake?